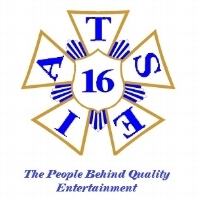 IATSE Local 16 SF / 13RY will be joining thousands of others who will be walking from dusk till dawn to bring hope to those affected by suicide and raise funds to support the American Foundation for Suicide Prevention. We are proud to be a part of AFSP's goal of reducing the suicide rate by 20% by the year 2025. Each team member is required to fundraise to participate in The Overnight. To donate online, please choose a team member who has not reached $1,000 by clicking “Roster” above and then clicking on their name. Once on their fundraising page you can click the “Donate” button. Your donations will help support our team in the fight against suicide. You can only donate to an individual on the team, but every donation to one of our team members counts toward our team’s overall fundraising goal. All donations are tax deductible. Interested in joining our team? You can join by clicking the “Join Our Team” button above.